Single and ready to mingle? Valentine's Day 2019 is fast approaching and boy do we have an event for you! 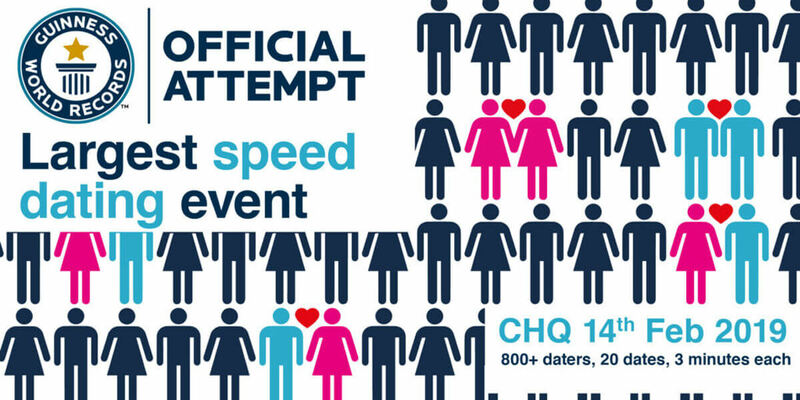 CHQ will be hosting a Speed Dating record breaking attempt. They need more than 655 attendees to beat previous records – and you could be one of them! So whether you are looking for true love or just looking for a fun way to spend your Valentine's Day, round up all your single friends and join in for what is sure to be a night to remember! Tickets include – a drink on arrival, snacks, entertainment on the night, a 20% discount to EPIC The Irish Emigration Museum, 1 raffle ticket to be in with a chance to win some great prizes, PLUS who can forget the chance to take home romance – or just a good story?! As if you need any more convincing, proceeds from your tickets will also be going towards two great causes, Movember Ireland and Breast Cancer Awareness. When you sign up, categories are based on orientation and age (18+). At 20 dates per person lasting 3 minutes each, you're sure to have plenty of choice – and lots of fun!